THIS PROGRAM IS CURRENTLY NOT OPERATIONAL. WE WILL UPDATE THIS PAGE WITH NEW INFORMATION AS SOON AS IT BECOMES AVAILABLE. Click here for similar options in Europe. If you are more business minded, you might also want to consider company formation in Serbia, which can also grant residency for yourself and your family members. Located just south of Hungary, Serbia has a unique position between the East and the West of Europe. During its long and rich history, it has always incorporated a diversity of peoples and religions. These historic ties with a variety of countries are evident today in the fact that you can travel visa-free from Spain to Siberia with a Serbian passport, and Serbia holds beneficial trade agreements with both the EU and Russia. Set to conclude the negotiations to become a full member of the European Union, Serbia has become extremely attractive for foreign investors in the last few years. The population, especially younger generations, is extremely cosmopolitan, and has English skills that surpass those of other Eastern European countries by far. The cost of living and labor costs in Serbia are well below the Western European level. The newly launched citizenship-by-investment scheme is one of the fastest and most affordable programs for gaining European citizenship. No previous business experience or language skills are required to apply. You can extend the benefits of your Serbian passport to dependent family members including children up to age 25 and parents over the age of 65. The typical processing time for the program is only around 3 months. There are no requirements to demonstrate previous business or management experience, and you do not have to pass a language test. The application is evaluated without you having to undergo an interview. A Serbian passport gives you visa-free access to over 110 countries including the Schengen zone in Europe and Russia. The number of visa-free countries is expected to increase once Serbia joins the EU. 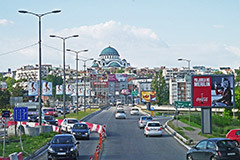 There are three options for obtaining Serbian citizenship by investment. The first is a non-refundable donation of at least EUR 250,000. Alternatively, you can purchase real estate in Serbia for at least EUR 250,000. Finally, you can choose make a business investment of at least EUR 500,000 and employ a minimum of 4 Serbian nationals. You are expected to maintain your investments for 5 years. In addition, you will need to pay due diligence fees of EUR 7,500 and government fees of EUR 25,000 (EUR 50,000 in case of the business investment option). Please note that the limits and fees above apply in case of single applicants. They vary according to the number and age of dependent family members included in your application. Please contact us for a precise quote for your specific situation.